2017 is perhaps one of the best era for Philippine real estate industry. And 2018 is poised to be a more lucrative year for real estate investors and business operators with the demand for all types of properties continues to arise. With that, it is imperative to have a solid business operation in order to cope up with both the demand and the competition. Over the last series, we’ve discussed how to deal with certain problems real estate businesses encounter on a regular basis and emphasized how Cornerstone can help in solving those problems. We've tackled about buyer's documents, inventory management, property booking, and accounting. In this series, we will be discussing another two major aspects of real estate business that a lot of people struggle with. In all types of business, generating sales is as important as hiring good employees because it can make or break a business, and if a business can't track properly where the collections are coming, it might eventually lead to poor accounts receivable management and might affect the business negatively. Inaccurate tracking of collections directly impacts the accounting in generating consistent financial statements. On the client's side, haven't been able to track where their payments go could lead to cancellation of the transaction. That's why it is very important to have a solid collection management strategy to avoid these consequences. A good payment collection system helps in figuring out where exactly the payment has come from. This makes it easier to segment and prevent potential financial discrepancies. Why need a system? Collection management takes a lot of time and manpower in order to work properly. Using a system that can give you information in few clicks and can automate the whole process means you get to focus on other aspects of the business. Home buyers are very conscious with the price of the property they are going to buy. Especially in the Philippines where most of real estate buyers are working class Filipinos. The first thing that they check is the price of the property. As a real estate business, it is your responsibility to ensure that potential buyers are getting a fair deal by putting the right price to the properties on sale. Real estate businesses who have no solid system or process in pricing properties being sold are the ones who encounter these kinds of challenges. Inaccurate property price could lead the business to run into some major problems with both the clients and Housing & Land Use Regulatory Board. Using a system that can automatically tag a property with the right price is the ultimate solution to this problem. 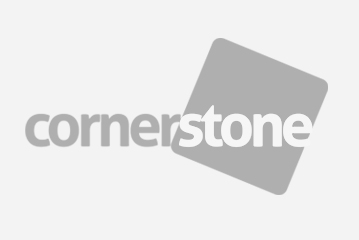 Cornerstone’s property module allows users to encode major property details such as lot and floor areas, base lot price, house model price, total base lot price, Total Contract Price, Unit type and a lot more. It also adjusts based on the market price of the property encoded in the system. One major advantage of it is that it automates all complex processes, tasks and duties, which would otherwise need time and manpower. Payment collection and property pricing are two major aspects of every real estate business that if not managed carefully could lead a business downwards. And the best real estate businesses in the Philippines embrace the power of technology to aid in their overall operations.